The Annamalai University was established in the year 1929 as a single residential University, by the munificence and single-minded commitment of the visionary and kind-hearted philanthropist and sponsor of letters, the Hon’ble Dr. Rajah Sir Annamalai Chettiar of Chettinad. In the last decades, the university has successfully consolidated its place as a residential University. Spread in a mega campus of around 1500 acres is Asia’s largest public residential universities know as Annamalai University. Located in Chidambaram in the southern state of Tamil Nadu, it offers higher studies in humanities, science, agriculture, engineering and arts. 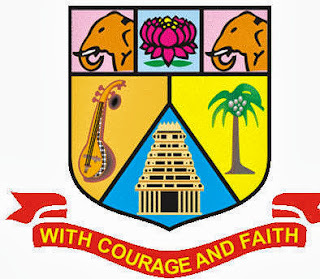 Formed by the erstwhile rajah Sir Annamalai Chettiar in the year 1929, it has become one of the premier seats of education in the country in both regular and distance education scenario. A high number of awards and scholarships are offered to the students who are brilliant in studies. The University strongly endorses the strength of learning as appropriately observed by Dr.S.Radhakrishnan. As per him the University of Annamalai is an indisputable center of knowledge and ethnicity owing to its strategic location and beautiful campus. A number of infrastructural amenities have been done as well in order to deal with the constant inflow of students in the multiple programs on the campus. The institute has also managed to establish close relations between the neighboring industries and the institutes for the promotion of research and training programs. It is a solitary university which has many colleges affiliated to it. In the year 2006, it opened its first Study Centre overseas in Toronto, Canada offering programs in Tamil, Music, Yoga and Dance. Other overseas centres are in Dubai, Sharjah and Muscat. The teaching hospital within the campus which has a capacity of 1250 is built on a sprawling area of thousands of acres. It offers specialized and basic healthcare facilities to the different communities in the university campus. Students can easily volunteer to be the part of any extracurricular services like NCC, NSS or YRC for developing public awareness and also to develop their personalities. There is a sports marquee within the campus as well for improving the physical health of the students. A Quality Assurance Cell has been made on the campus of the Annamalai University internally for monitoring the worth of scholarly productivity. The departments of learning carry out seminars, symposium, conferences and workshops nationally and internationally to give teachers the exposure of the new teaching trends and research globally. A Cell for the progression of students has also been made to train students for giving exams like IAS or Civil Services. The college follows the ‘No smoking policy’ in view of the public health. A Welfare Cell for students on the campus has also made for the development of the personality of individuals. With an aim to prepare student for a professional life and to pass on the right attitude and skills, these placement cells function in three separate locations. The first one caters to the requirements of the students in the Engineering & Technology faculty, the second in the Agriculture faculty and the third, in the Department of Business Administration faculty. These cells counsel students on how to make the right career choices and go about advanced studies. They also assist students for undertaking training during the semester breaks and for finding the right placement during campus interviews. For students who want to study and are not able to come to the University campus in Tamil Nadu, the University is engaged into offering education to students sitting far and wide through their Distance Education program. It was started way back in the year 1979 and was so well received, that it became the largest distance education program in the country, offering the most varied list of subjects to choose from. Annamalai University Tamilnadu offers a staggering five hundred plus courses in it distance education program which is way more than any other university in the country. It has many firsts to its name, and offers post graduate degree programmes in applied Psychology, Zoology, Botany, Physics, Chemistry, Law and Bio informatics through distance education mode. Besides these, the distance education directorate also offers degree and diploma courses in Textile Design, Fashion Design, Interior Design, Retail management, Hotel management and catering technology, programmes of health sciences, Music, Yoga, Commonwealth Youth Programme, Fire and Safety Taxation and Pharmaceuticals. The distance education department offers courses in undergraduate, lateral entry under graduate and post graduate courses besides offering Post Graduate Diplomas, Diplomas, Certificate, Double Degree and Music and Dance Programmes. The degrees awarded are Bachelor of Arts, Bachelor of Business Administration, Bachelor of Commerce, Bachelor of Literature, Bachelor of Science, Bachelor of Law, Bachelor in Library and Information Sciences. Masters in Arts, Masters in Commerce, Masters in Science, Masters in Law, Masters in Social Work. Graduate Diploma in Business Administration, Graduate Diploma in Personal management and Industrial Relations, Graduate Diploma in Marketing Management, Financial management, Tourism Management, Advertising, Public Relations, Software marketing, Foreign Trade, Entrepreneurship, banking & Insurance, International Business, Retailing, Human Resource management and Coperative management. The institute has also started offering B.Ed courses under its distance learning programme, which is being received very well especially among women. The distance learning programmes are so intense and cover the subjects in such a vast range that one gets complete knowledge of the every subject. Annamalai University, Tamil Nadu has set up test centers across all the major cities in India where the students can appear for exams. These test centers help students in appearing for exams near their houses instead of going all the way to Tamil Nadu. No matter where you are sitting in India, the University has a presence. It is truly a stalwart in distance learning programme, helping thousands of students accomplish their studies in varied fields and that too from the comforts of their homes. 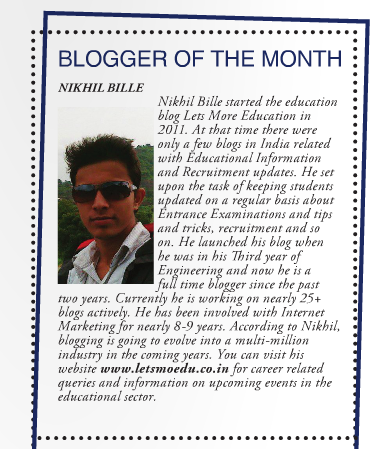 Sonali Dheri writes on behalf of Shiksha.com, India’s online education portal. She uses her creative forces to write informative content on all the latest study programs, institutes, and education news and issues.